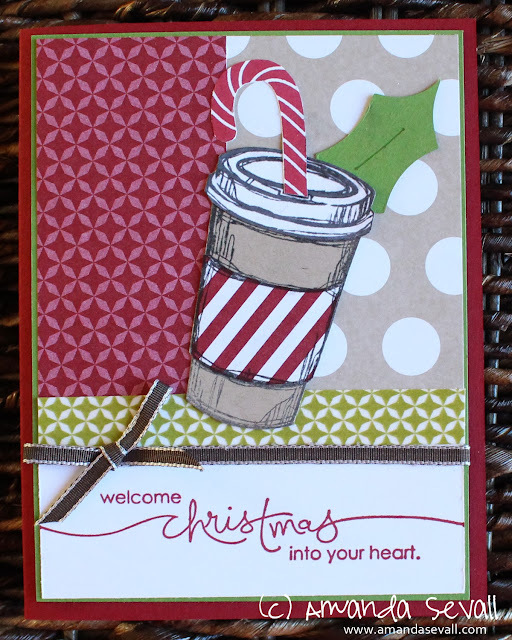 One more Christmas card to share for today... perfect for giving a Starbucks gift card! I was inspired by this card I saw on pinterest. 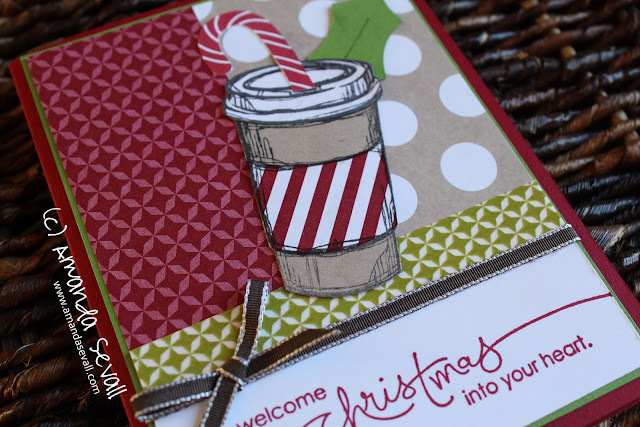 I made a few modifications to the patterned papers used and stamp set used for the greeting. Love how it turned out! Cute! I LOVE that sentiment stamp.